Use chalk to color, write on, and decorate this horse! Clean up is easy- just wipe with a damp cloth, and the Chalkboard Horse is ready for a new design. Leave it to Breyer to bring the emoji trend to horses! Design and create your own unique equine art. Use the metallic marker to add background color and designs to your horse. This adorable craft activity set will provide hours of fun. 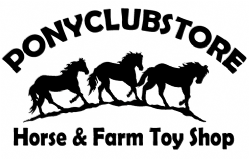 Five popular breeds are included: Tennessee Walking Horse, Arabian, Sport Horse foal, Friesian and Andalusian. Clean her in warm water, and watch her mane, tail, and celestial markings change color! 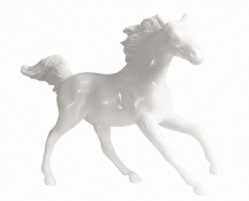 Bring model horses to life with this 3D paint-by-number kit. Inside, you'll find a pre-marked paint-by-number Breyer model. Paints, brushes and a detailed "how-to" booklet can help you paint these two Paddock Pals® model horses to look like your favorite horse. All this kit needs is the touch of a young artist! Two Paddock Pals unpainted model horses, paints and brushes. Great starter set for kids, but challenging enough for adults who want to get started in customizing. The adorable Paint Your Own Farm set combines crafting and role play! Paint and customize 6 different farm animals, then add accessories for role play! 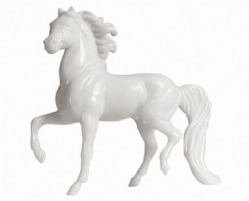 Stablemates painting is beloved by Breyer fans of all ages, and now there’s a unicorn they’ll want to add to their herd! This collection of adorable kitties will have kids coming back to collect them all. Clean him with warm water, and watch his black markings turn blue! When he dries, colors return to normal. 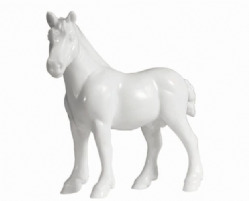 Stablemates painting is on of Breyer's most popular hobby activities! Horse Crazy Surprise Painting Kit - Bag. 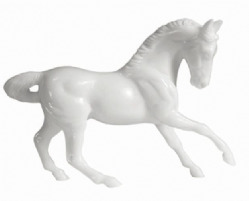 Paint your dream horse! Four different breeds of horses.